Since 2004’s Dawn Of The Dead remake (which happens to have one of my favourite endings of all time), the world has not been able to escape zombies. There have been more films, tons of video games, and books galore. There have also been dozens of comic books featuring the walking dead, the best among them a black and white series from Image called…The Walking Dead. Written by Robert Kirkman, the ongoing series tells the story of survivors of a zombie apocalypse and how the characters we meet struggle on a daily basis. The main character is a former cop named Rick Grimes and let me tell you, the crap that this man goes through is extremely heavy and disturbing. In all my years of comic reading, I believe only The Walking Dead has actually made me gasp out loud. The brilliant thing about The Walking Dead is that it is indeed an ongoing series focused on powerless, everyday people. I’ve been reading the series as it’s compiled in hardcover format and there doesn’t seem to be an end in site (what Kirkman has planned is another thing entirely and not something I’ve looked up or want to know). But as the author has often alluded to, zombie films always have some sort of ending. But real life doesn’t. Kirkman isn’t dealing with what happens to folks after two hours of zombie infestation– he’s taking on life in terms of years. 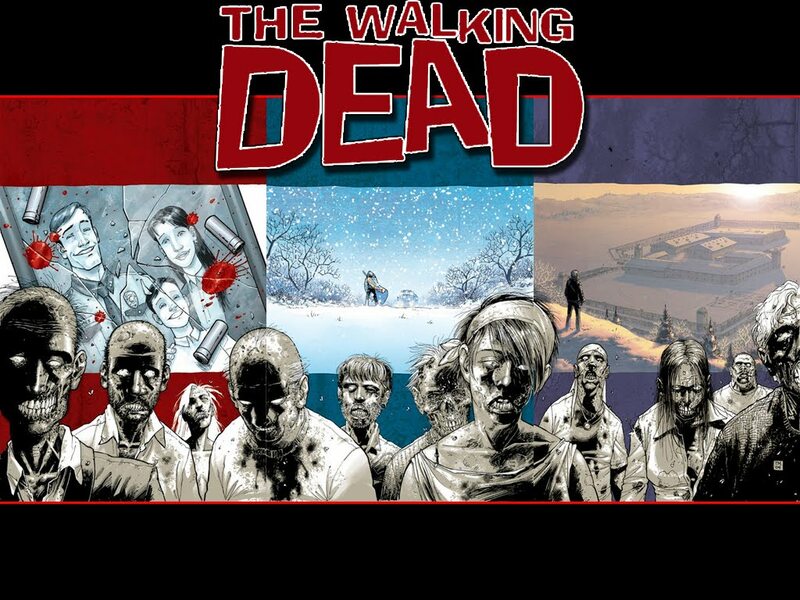 Some fans and critics who have been reading The Walking Dead as a monthly have been critical of the sometimes so pace of the series, but when absorbed in a compilation format that pacing works brilliantly. Because, just like in life, stuff doesn’t always happen. And while Kirkman is always developing character throughout the series, sometimes it’s slower than readers are used to. It’s definitely one of my favourite series of the last few years. If you’re into zombies or character driven comics, it’s well worth your time. Which brings me to the reason for writing. This week Variety announced that director Frank Darabont is close to signing a deal to write and direct a television adaptation of The Walking Dead for AMC. Darabont is the director of The Shawshank Redemption and The Green Mile, and is also responsible for another of my favourite film endings of all time. He’s always had an amazing ability to craft human stories out of supernatural/horror material. If anyone can get the right feel for an ongoing zombie television series, it’s Frank Darabont. We’ve seen tv shows about vampires, werewolves, ghosts, and reapers. It’s about time the undead got some loving.